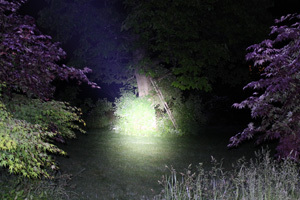 Recently I got my hands on a flashlight and lantern sent to me from Dorcy to review. To be honest, I only knew of the Dorcy brand from the inexpensive lights you find at Walmart and Target.  However, the two lights they sent me here are quite different than these standard store lights (more on that in a bit). First, about Dorcy. 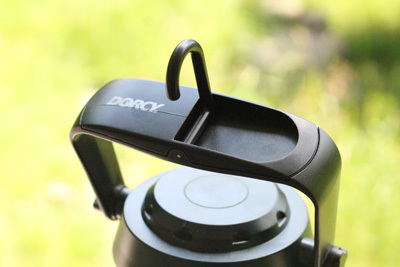 Dorcy is a privately held U.S. company that is based out of Columbus, OH. They’ve been around for over 55 years and is the only Flashlight manufacturer to have true factory ownership (in Hong Kong). Like I said before, you’ve probably seen them in big warehouse-type stores like Home Depot, Target, and Walmart. There are two lights that I’ll be reviewing in this post. 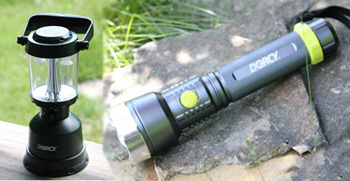 The first one is the Dorcy Metal Gear XLM (Extreme Lumens) flashlight and the second is the Dorcy Twin Globe LED lantern. Upon first inspection, the XLM seems to be built fairly well. Although it doesn’t have the built-like-a-tank feel of a Surefire, it still has great heft and a solid feel to it due to the housing being made of aerospace grade anodized aluminum. Although for a flashlight of this size I’d prefer to have a rubber grip, the serrations and etchings of the housing would allow you to have a decent grip even if your hands or gloves were wet. The polycarbonate lens is also a great choice from Dorcy. With the combination of the metal housing and poly lens, it makes it extremely durable to impact (I was sure to drop and throw it a few times while on without any negative effect). 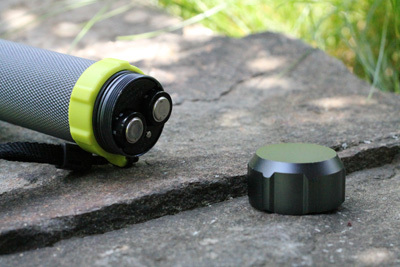 The flashlight is also o-ring sealed to protect against dust and moisture. However, given that it’s only IPX4 rated, I wouldn’t trust this light being immersed in water but would have no qualms about running it in the rain. What was surprising to me was that at first glimpse, it appears that this light would take 3 C-cell batteries. Instead, it takes 6 AA batteries that, according to manufacturer warnings, MUST be inserted parallel (two groups of three, side by side). I’m assuming this means that there is no polarity protection on this light so BE CAREFUL, or you might have an expensive club on your hands. Since the batteries are situated parallel to each other, the cool thing about this setup is that it can still run on only one half (i.e., three) of the AA batteries. The benefit of this is, if you’re in an emergency situation and didn’t have the full six AA batteries but instead had a pack of four still around, you could run this light (albeit at half the run time). 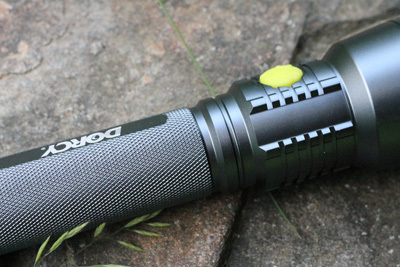 Giving off 600+ lumens on high and 173 lumens on low, this light clearly lives up to its “extreme lumens” name. It’s really hard to appreciate just how much light this thing throws until you experience it in person. I was very impressed. That being said, even after an hour you’re well above 300 lumens which is still a significant amount of light, AND that’s running off of alkaline batteries. The performance would be much better if you used rechargeables (especially Sanyo’s Eneloops). Although I didn’t get the chance to fully test this, the light is rated to run 5 hrs 45 min on high and 25+ hours on low (both have been ANSI tested so it’s a fair bet this is pretty accurate). 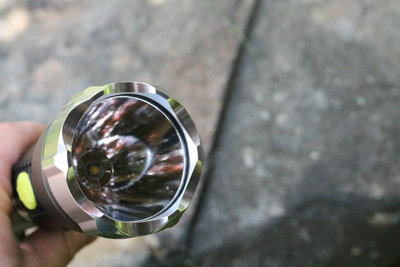 Since the E2D is no slouch when it comes to throwing light, you can get an idea of what 600 lumens is. 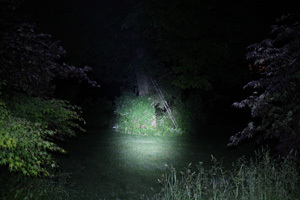 All jokes aside though, this is a perfect lamp for hiking the trail or taking the dog for a walk at night and I highly recommend it as an all-around great flashlight. The XLM currently goes for about $80 on the Dorcy.com website. However, as a quick note, if you’re interested in buying one of these, this month Dorcy will take 20% off by using the coupon code “SPRING” at checkout. Not a bad light for $64. From first appearances, this lantern looks like a smaller version of my Coleman gas lantern. Beyond appearances, the two however are very different lamps. Instead of metal, the Dorcy LED lantern is constructed of a hard plastic that doesn’t have that cheap feel of similar LED lanterns. It consists of three LEDs: two globes that provide the bulk of the light and a small amber “nightlight”. Rotary switch positions are: night light, off, half power (one globe), and full power (both globes). It also has a nice ratcheting handle with a collapsible hook — allowing you to hang it from a rope. In the category of weather protection, this lantern shines. The entire construction is sealed off (along with the O-Ring sealed battery housing) which allows it to float in water; it’s waterproof and submersible up to 1 meter (IPX7 ANSI tested). 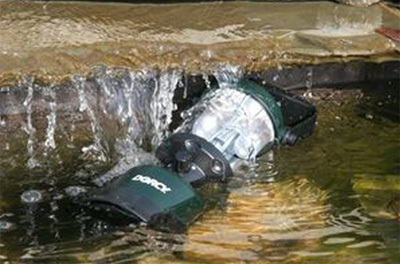 Having a lantern that is not only waterproof but submersible is a great benefit when camping, boating or in any activity where moisture might be an issue. I would have no problems leaving this light out in a squall — something my Coleman couldn’t handle. The battery housing is in the bottom of the lamp. It takes 4 D-cell batteries that are easy to install: unscrew base plate ring; remove baseplate; insert batteries; replace baseplate, lining up the tabs; screw on ring. Dorcy claims that this is the “first battery operated lantern to approximate the illumination characteristics of traditional gas/mantel lanterns”. Depending on how you interpret “approximate” you’ll either be elated or disappointed. 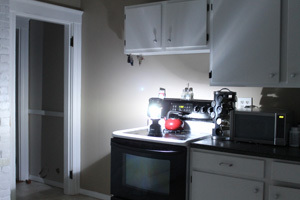 As far as how much light is put out (160 lumens on high), it really doesn’t come close to your normal gas lanterns. However, the “characteristics”, in terms of brightness/quality and color of the light, are similar. Having said that, this LED far surpasses my other LED lanterns by far. 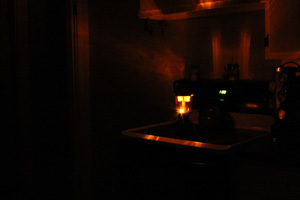 While it won’t light up your entire campsite or house for that matter, it still does a great job at lighting up a room (far better than your standard emergency oil lamps or candles). Also, the quality and brightness of the light make for pleasurable reading (as long as you are sitting near where the lamp is). I usually get eyestrain with candles and oil lamps. I don’t get that with this one. Another great benefit of this light is its battery life. With one globe activated (low setting), it will run for 350 hours. Two globes activated (high setting) it will run for 175 hours. 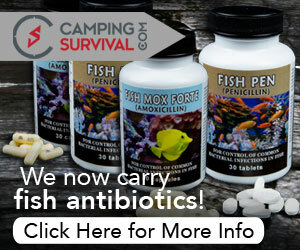 If you figure an average of 5-hours of daily nighttime use, that’s 70 days on low and 35 days on high! For me, this makes it a perfect emergency lantern. The small amber nightlight is rated to run for 700 hours. 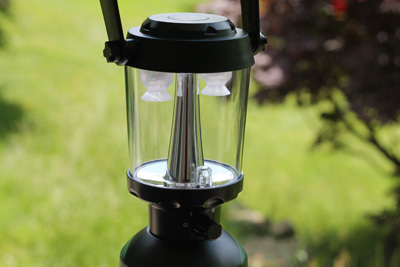 Again, this lantern doesn’t hold a candle (pun intended) to a gas camping lantern like the Coleman, so if you’re hoping for that kind of light output you won’t find that here. However, if you’re in the market for an excellent battery-powered LED lantern, that you can use both in and outside in all sorts of weather, I would highly recommend this. In addition, as far as an emergency lamp for home goes, I think this light is superior to any gas lantern out there. The Coleman lanterns can’t be run indoors without sufficient ventilation and especially if you have little ones running around like I do, I wouldn’t even want to if I could. Up to this point, with local power outages I’ve been relying upon my oil lamps and candles. Since trying out this one I’ve decided to purchase a few more and use them as my primary emergency lighting. With its really long battery life, excellent light output (compared to candles, oil lamps etc.) 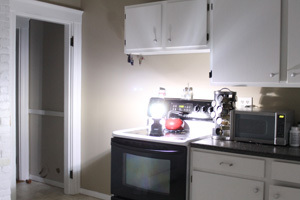 and safety, the Dorcy 4D Twin Globe LED lantern is a clear winner for me. 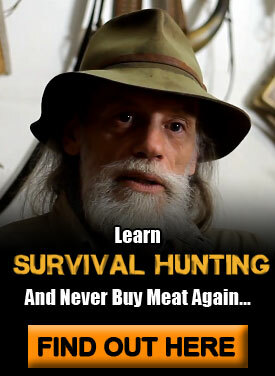 Dorcy sells it directly through its site for around $50. 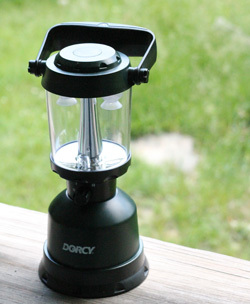 However, I’ve seen this go for less than half that price on Amazon.com, here: Dorcy LED Lantern. I have a Thermacell Mosquito Repellent Outdoor Lantern that I have just sent a test report to the North American Hunting Club on my use. It has a plastic type body and frosted globe. It uses AA batteries, It has a special butane cartridge that heats the repellent pad. This cartridge lasts 12 hours and the pads need changed every 4 hours. 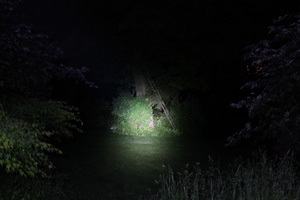 the Lantern can be used light only if you like, and if you need the repellent with out the light no problem. Not sure but I believe it also floats. All in all a nice product to have. Thanks for the comment. 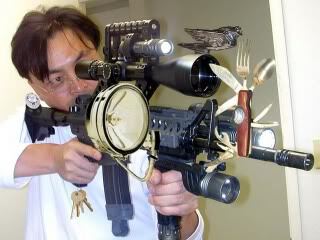 Does it work well as a mosquito repellent? I’ve heard of Thermacell but never tried them. Nice review, Erich. The only disadvantage I see is the need to stock D-size batteries for the lantern. I prefer AA batteries, since the bulk of my gear uses them. Suppose one could make an adapter for the AA’s at the expense of available light hours. I’m in China for a short consulting gig. 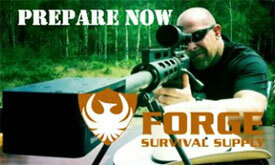 Preparedness is not typically on the local’s agenda. They think I’m either strange or paranoid (probably both) to have excess dried food, jugs of water and batteries in my apartment. Since I don’t speak Mandarin well enough, I’m truly on my own. As an aside, I’ve seen some nice LED lights here, and have picked up a few. My favorite is a 3 watt single AA-cell mini flashlight. Have no specs on it, but if nothing else, it looks good! Thanks for the comments Daniu. 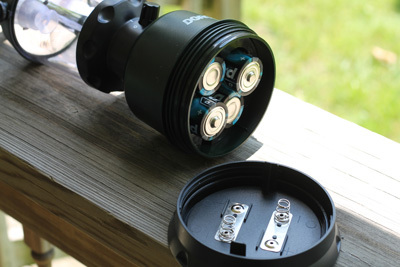 Yeah, if you don’t have many items that use D batteries it may be a better option to find another type of lantern (or get an adapter as you mentioned). I have a number of preparedness items that use D (small water pumps, a propane shower, etc) so it’s a good fit for me. I bet China’s got some really cheap (in terms of cost) LEDs and other gear. Stock up while you’re there. Your link for the lantern is incorrect. You are linking to the 80 lumen model rather than the 160 model which is here. Great review! I ordered one as I collect lanterns and lamps. Yes, It does repel Mosquitos as well as other flying pests like no see ums. It uses AA batteries, also..
Wow. That lantern looks amazing. Love how bright it is, and that it’s waterproof of course. No polarity protection? Uh oh. I can’t believe they didn’t add that feature.